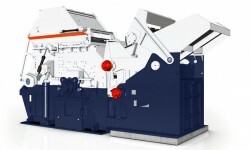 SHREDDERSORT aims at developing new technologies for the separation of the heavy and light fractions of ELV scrap. The project contributes towards reducing the environmental impact of recovering raw materials, as well as to reduce metal scrap recycling costs. Furthermore, SHREDDERSORT technology shall enable an effective separation of aluminium and magnesium alloys, thus avoiding current aluminium recycling strategy based on downcycling, and contributing to the recovery of high value and critical metals. In addition to the environmental scope, it is foreseen that the project will promote the development of new business models based on new recycling technologies.